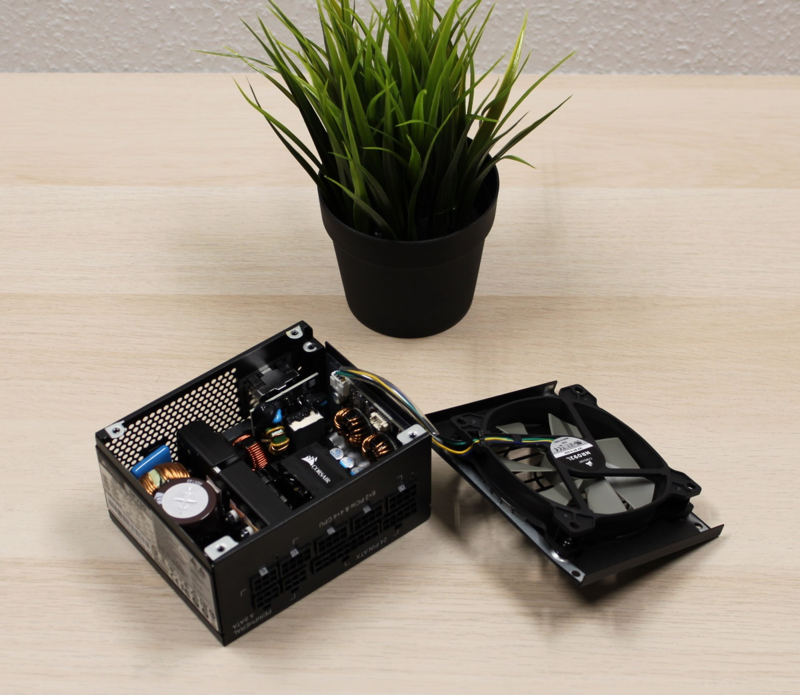 Power supply units don’t need to be bulky. 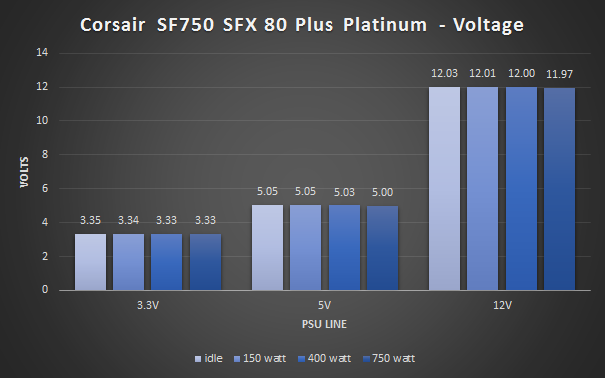 Corsair proves this with the new SFX PSU called SF750. With a wattage of a staggering 750W, it can run any machine with ease. We’ve tested it, and we’re genuinely impressed. Building small powerhouse computers is like dirty denims, slick wayfarers, and Big Lebowski quotes. It will never go out of style. If you disagree then yeah, well, you know, that’s just, like, your opinion, man. Corsair is in on this whole miniature thing. They are now ready with an advanced minuscule powerplant. 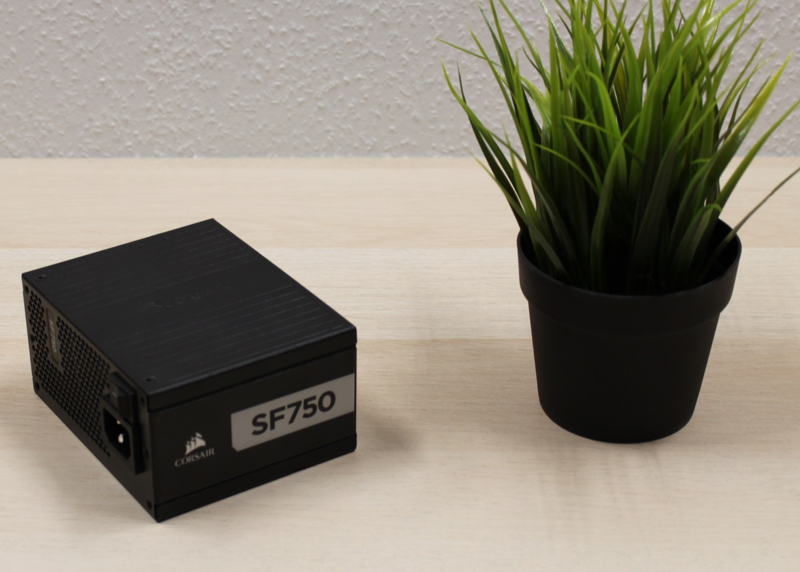 Say hello to the SF750 power supply unit, a compact SFX PSU that offers a staggering 750 watts. Impressive! 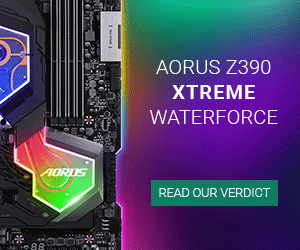 Moreover, the engineers at Corsair even agreed to have an extra Christmas and decided to stuff this turkey with an unlimited number of treats and features. We’ll dive into this goodie bag, and let’s start with a peek at some technical details. For those of you who are not into the whole brevity thing, those of you who don’t skip right to the conclusion, you are about to witness some good stuff: Let’s start from the beginning and get it out of the box. Corsair has lately grown fond of black and yellow on their packaging. 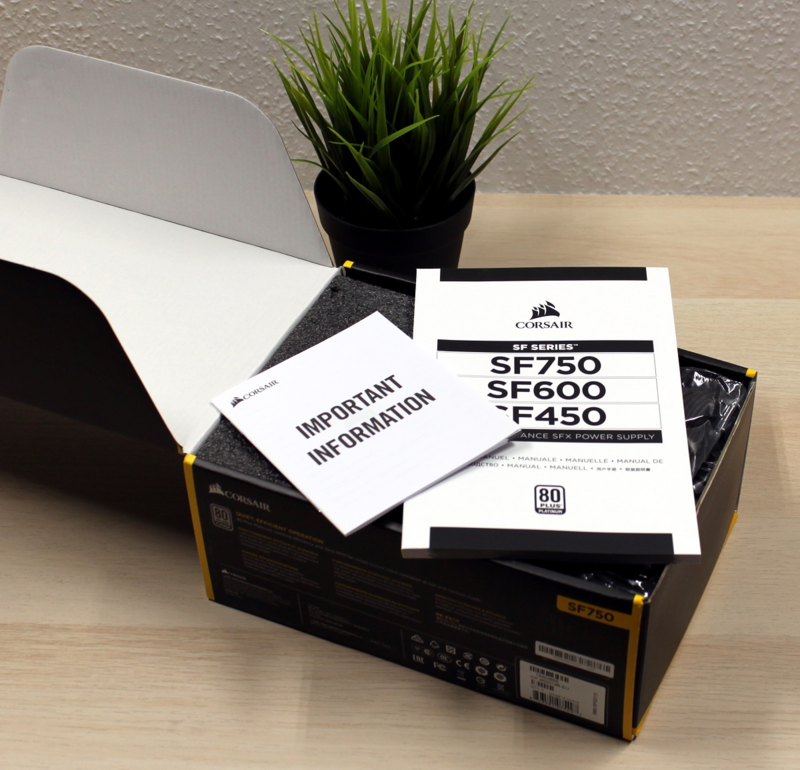 The SF750 box is no different. 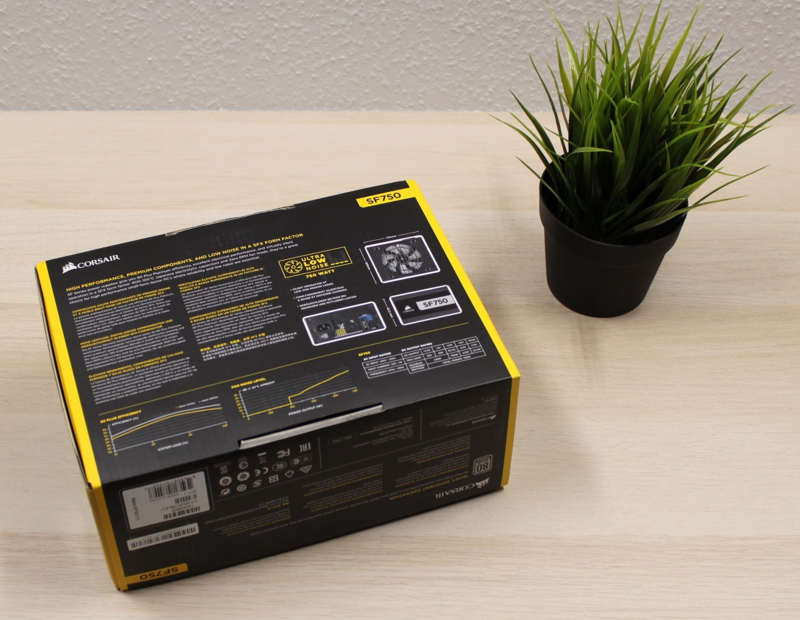 The front of the box flashes the PSU itself with extra spice added, including the 7-year warranty and the 80 Plus Platinum certification. The back goes delightfully nerdy with a detailed overview of the features and some charts showing efficiency and noise levels. 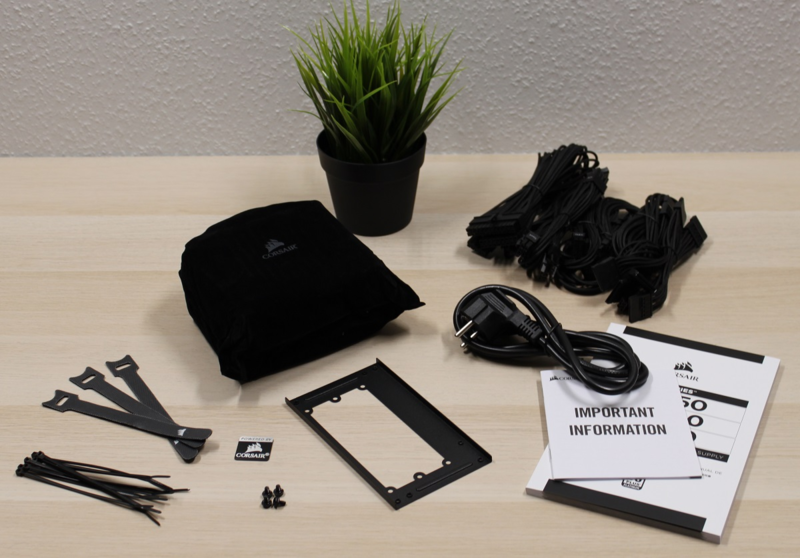 Opening the case, the first thing that meets us is the ever-present “important information.” The power supply unit rests safely beneath a thick layer of foam shielding it from all the dangers of the outside world. 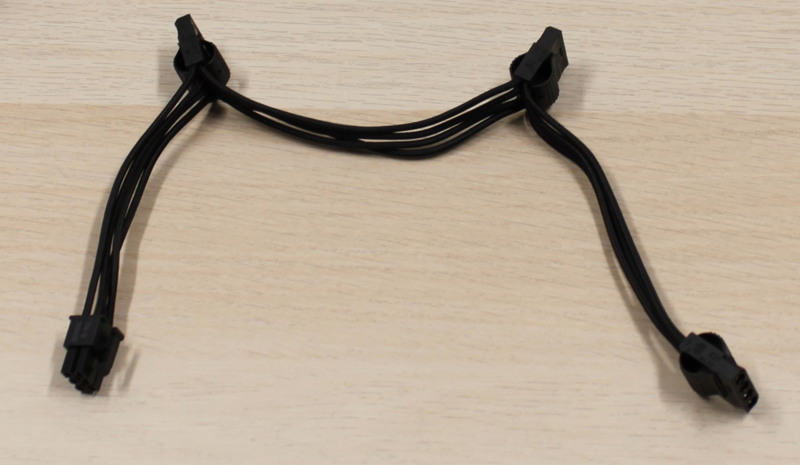 It’s great to see a manufacturer being generous with cable ties, for once. Often, we see only 2-3 of them in the box. It’s almost a bad joke. Here, you get the tools to fix the cables better than Karl Hungus ever could. Let’s put the ties aside and focus on the modular cables. Despite the recent rainbow of colors in the RGB department, PSU cables have (luckily) swum against the tide and went from rainbow to black. 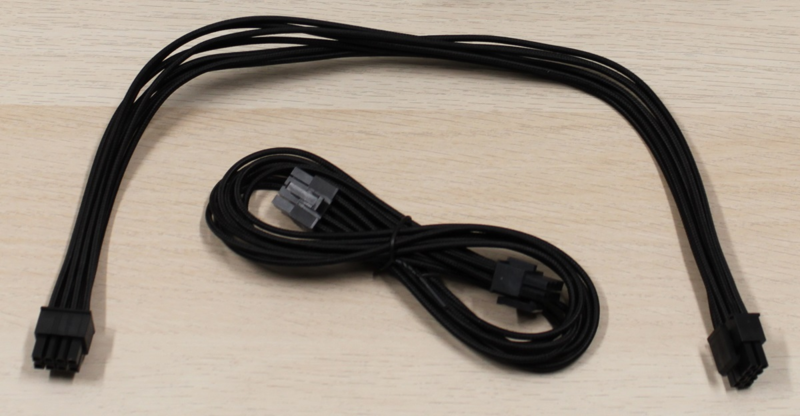 First, we have the classic chunky 24-pin cable. The PCI-Express also has you covered. 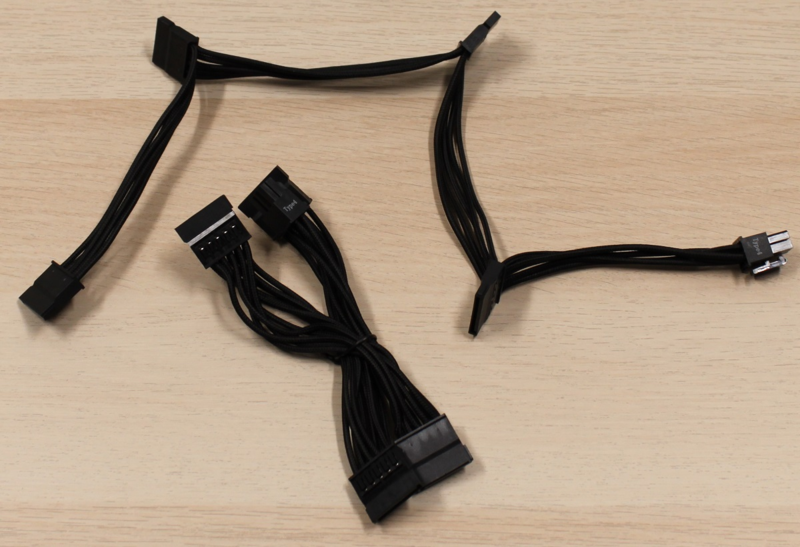 Here, you also get two cables for the price of one – each equipped with two 6+2-pin PCI-Express connectors. You now have four connectors for an even greater playtime experience. The enhanced connections give you enough juice for either two GPUs – or one graphics monster like the MSI RTX 2080Ti Lightning Z. This Taiwanese Godzilla requires no less than THREE(!) 8-pin PCI-Express connectors. Ouch! But this is no match for our tiny hero, SF750. It does it out-of-the-box. This little dude abides. You’re not running out of SATA-connectors, either. Again, it’s double up – two cables with four plugs each. In fact, that’s not double – that’s octuple! (I always wanted to say that word…) With the M.2 standard on the rise, the need for SATA is receding, however. There’s a Molex cable in the box, too. If you hadn’t figured that out yet, then, obviously, you’re not a golfer. Molex connectors are standard. We only get one cable, though. There is an upper limit to all the goodness, after all. Nonetheless, this single cable has three connectors which should be enough for most people. Corsair has eliminated the Berg connector on SF750. I’m okay with that. It’s about time we lose some of the old baggage. Until some hipsters decide that floppy disks are the new thing, this connector is undeniably obsolete. Let’s put the cables aside and point our attention towards the actual SF750 PSU. It arrives in a small fabric bag, meant to store unused cables after installation. SF750 is surprisingly heavy, giving a hint of the abundance of hardware under its hood. The design is minimalist with a black and grey finish. On one side, we find the intake for the small pre-mounted 92mm fan. The other flank displays some cut-outs in the metal casing as well as a Corsair logo. Usually visible through the glass screen in the computer chassis, the left side is a giant billboard advertising the manufacturer and product name. On the opposite side, we find an overview of the output of the SF750. 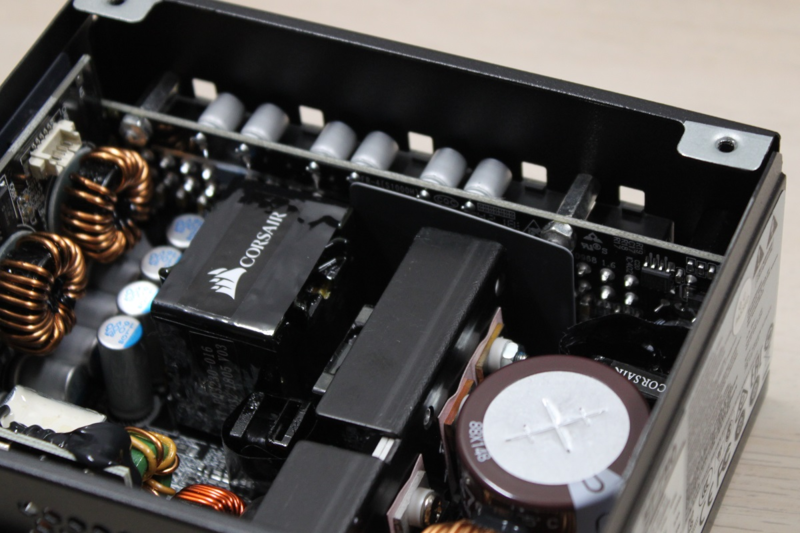 As you can read from the name of the PSU, it spits out a serious wattage on a staggering 750W. (SF750 probably stands for “Seriously. F**king 750?”) Combine this with 12 volts and 62.5 amps, and this thing can easily power a small weed farm in the basement PC. The back of the PSU will make you cry tears of joy. Here, we find the 100 percent modular interface, built with almost spectacular simplicity – the connectors all have a visibly allocated plug in a Tetris mastery level layout. I am astounded how Corsair managed to do this in such a tiny space. The front does not make a big fuzz. Plenty of ventilation for all the hot air, a power plug, and a switch – and the nifty detail of a subtle SF750 badge. I love those nifty details. 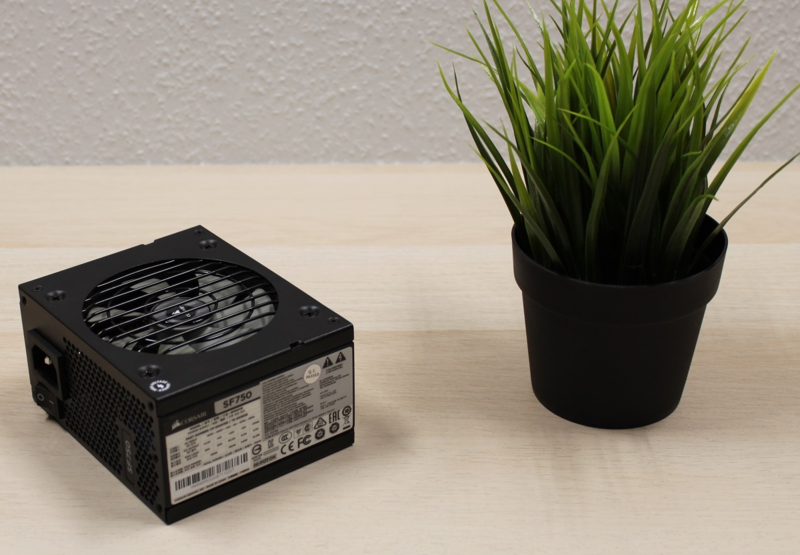 To show you how small the Corsair SF750 PSU is, I’ve taken a pretty picture with a plant and a regular ATX power supply unit from Corsair, the ATX850. I’ve said it once, maybe even octuply (I got to use that word again! ), but you’re going to hear it again: I’m genuinely impressed by how Corsair has managed to pack this tiny box with such a load of features! But first, a warning: Kids, don’t do this at home. You will pulverize the warranty. Also, it can be dangerous. We’re doing it, so you don’t have to. With the lid carefully removed, we can have a peek at the components inside the SF750. The first thing that meets your eye is the 92mm fan attached on top, aptly named NR092L. When looking at components mounted on the base of the PSU, you immediately notice the transformer. That’s the one with the big Corsair stamp on it. After that, the DC converter for the direct current system on the back. Like any other high-end power supply unit, this sits on a separate circuit with a surplus socket. The power plug is uninsulated, mainly because there is no room. However, it doesn't make a huge difference, seeing the caliber of this PSU. The modular cable interface is also placed on a separate circuit like we often see it in the larger ATX units. No loose wires either, as everything is soldered directly to the main hookup to minimize electrical noise and reduce space uptake. The two elongated black boxes are cooling frames. These provide enough cooling until you hit the 300W mark, just to give you an indication of the quality of components used here. The capacitor is a 470µF powerhouse from Nippon – extremely compact and certified to operate at over 221°F/105°C. So, everything is fine here. After a final bird-eye view of the interior, we reattach the lid and continue to the test. This little power supply unit is a real piece of American engineering, a mini Sherman inside out. PSUs are not all about the looks; they are about the performance. You aren’t just here for the pretty pictures. So, let’s power it up and see what miracles we can witness. Testing a power supply unit is a very complicated case. A lot of ins, a lot of outs, a lot of what-have-yous. Therefore, we need the help of our power tools: An electric load equipped with light bulbs that can switch on/off, thus informing us of the load towards the PSU. 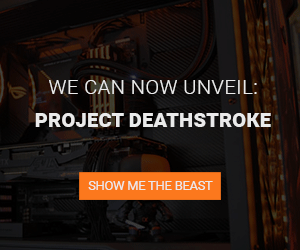 To gauge the PG signal of the PSU, and to check if it boots correctly, we use a Thermaltake Dr. Power II. Furthermore, we use a multimeter to measure the voltage under different loads, as well as a regular electricity meter to quantify consumption. 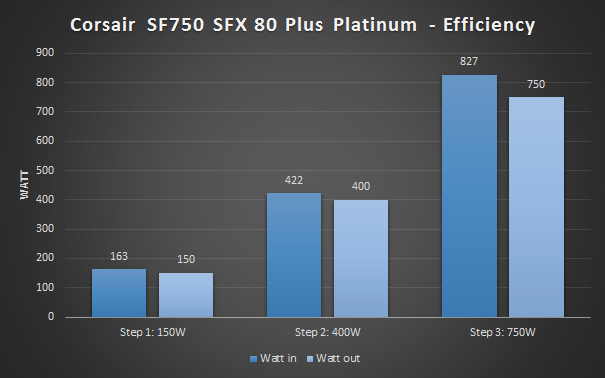 This way we can calculate the energy efficiency of the SF750 and check if it lives up to its 80 Plus Platinum rating. We still miss an oscilloscope to examine the ripple. But, hey, Christmas is only nine months away! Our electrical load is only able to supply 12 volts. Therefore, I give as much load as I can on the 12V end of the spectrum but conduct my test on all three lines (3.3V, 5V, and 12V). Hence, I can evaluate the impact of the different loads on the other lines of the PSU. As most computer components use 12V, this is the most important to test out, of course. I also read the power consumption on the electric meter and calculate the efficiency of the PSU at different loads. I’ve charted them below – the voltage and wattage efficiency, respectively. In our test, the PSU efficiency at different loads was (rounded off). Beware that we conducted it on a European 230V power grid. In the US, things look a little different. Usually, the efficiency is a little smaller. 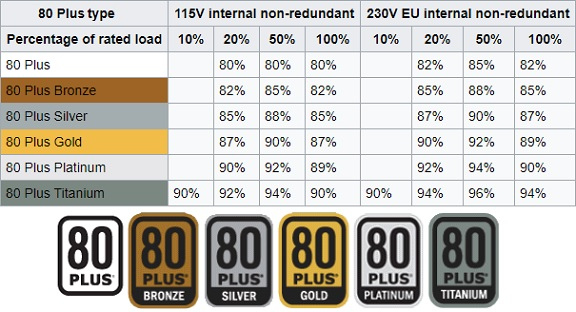 As you can see on the 80 Plus rating requirements below, the Corsair SF750 meets the requirements for the 80 Plus Platinum rating. Sometimes you eat the bar, and, well, sometimes the bar eats you, and this little SFX power supply unit has managed to set the bar overwhelmingly high from the get-go. However, this mini monster is hungry. It devours the bar and licks its fingers afterward. SF750 delivered a flawless performance all over, no matter the load. Even when I let it enter a world of pain at 750 watts, it didn’t flinch. Every voltage level was on point. As expected, the PG signal was just right, and I neither experienced any coil whine nor any other kind of electrical noise. I did notice, however, the sound from the fan on top as we started approaching the 600W mark. I wouldn’t call it noisy, but it was audible. Then again, in a real-life environment, you wouldn’t notice that noise. 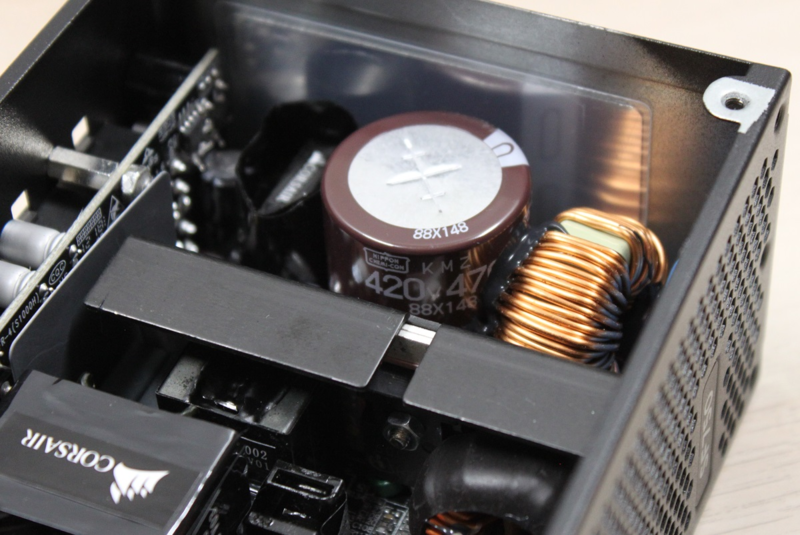 The PSU would be neatly put behind glass underneath the cooling fans on all the other hardware. Overall, I found no real caveats, neither in performance, build quality, nor overall impression – job well done, Corsair, you impressed me! I can safely say that this rug really ties the room together. 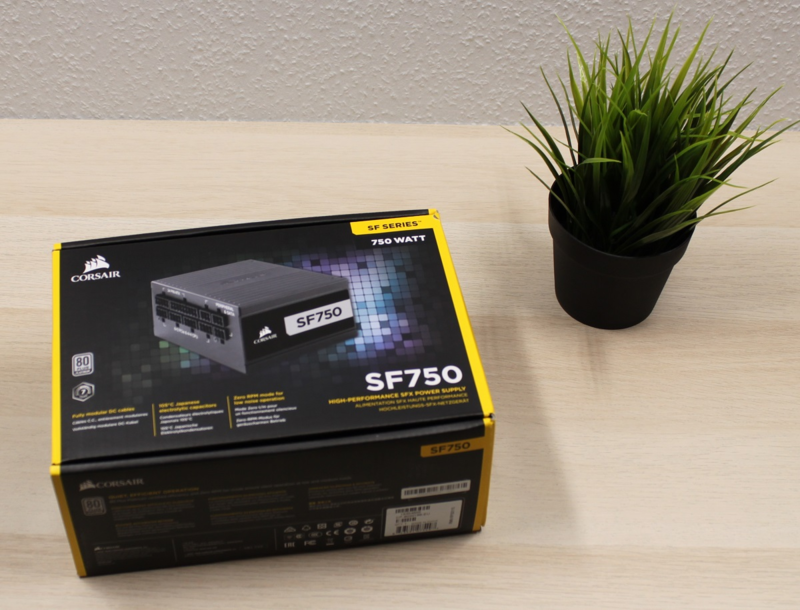 Corsair has set a ransom of $179 for getting the SF750 PSU home. They’re nihilists, they want the money, but giving it to them will pay off for in the long. 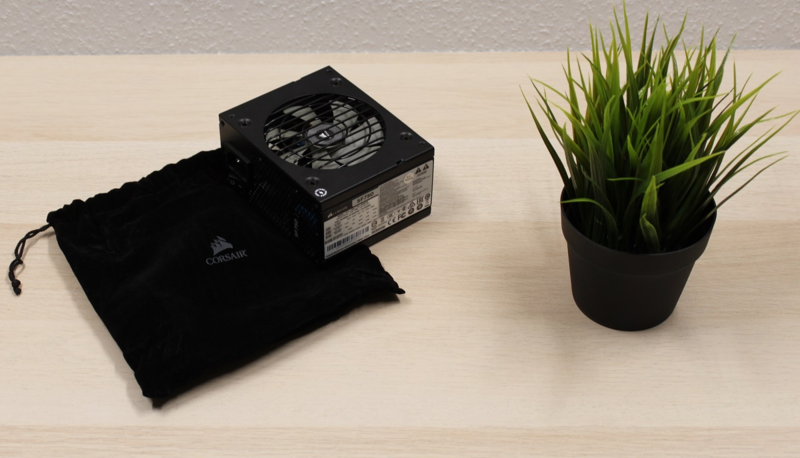 With an incredible performance and build quality, sleeved cables, and a 7-year warranty, this little treasure is guaranteed to pay high dividends for many years to come. 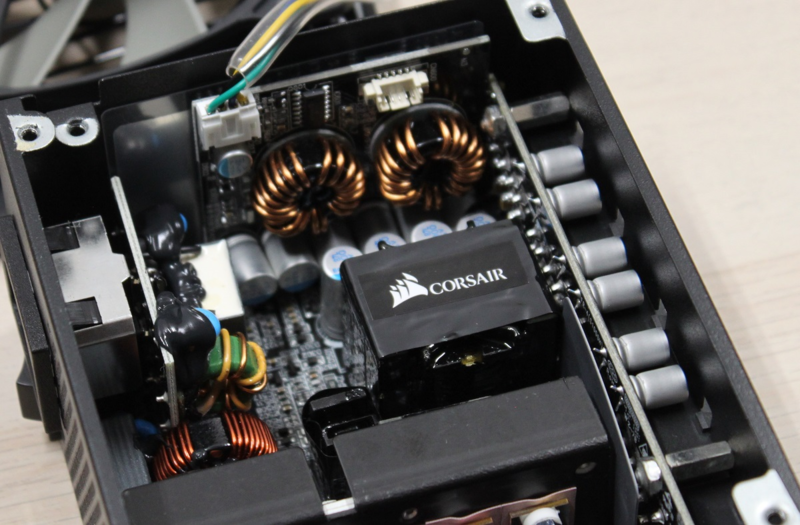 If you’re looking for a PSU that can kickstart any system while staying ultra-compact, SF750 Corsair is a great choice. We have tested multiple SFX power supply units before, but they have all been in the bigger SFX-L form factor. Also, usually, they’re strikes and gutters, ups and downs. SF750 keeps the compact SFX design but, somehow, Corsair has managed to squeeze in everything we expect from a high-end PSU. This small powerhouse not only hands out 750 watts. It is incredibly efficient, displaying an 80 Plus Platinum rating. 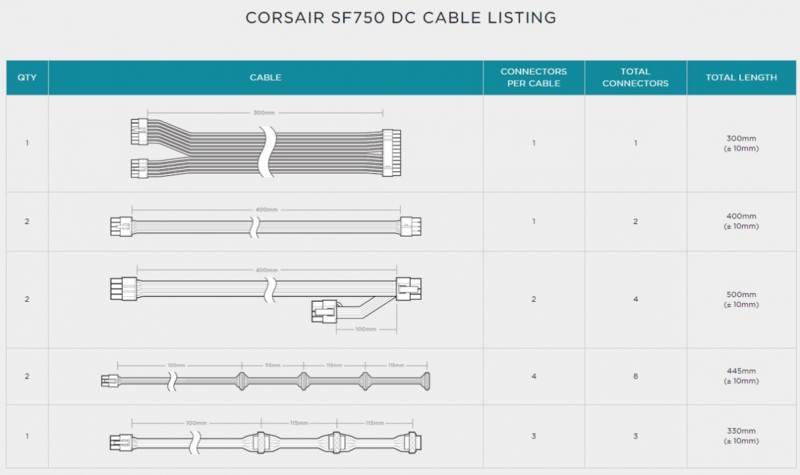 Furthermore, Corsair has through some wicked sorcery made room for a 100 percent modular cable interface. At the same time, the traditional 80mm fan has received a 12mm enlargement spell and is now 92mm. Hence, it can rotate slower while moving more air, meaning lower noise for you. I still noticed a bit of noise during our load test, but only when the PSU was under intense pressure. All voltages were rock solid, and the efficiency was always on par. 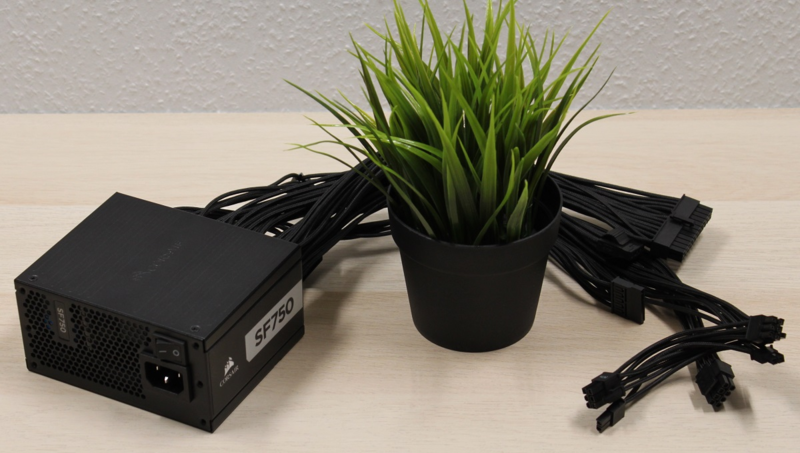 Besides having the likeness of a Sherman tank for the price of a cheap knockoff (especially with all the features in mind), the SF750 PSA comes with sleeved cables, and not as the usual additional purchase. Corsair has included them without any price inflations. 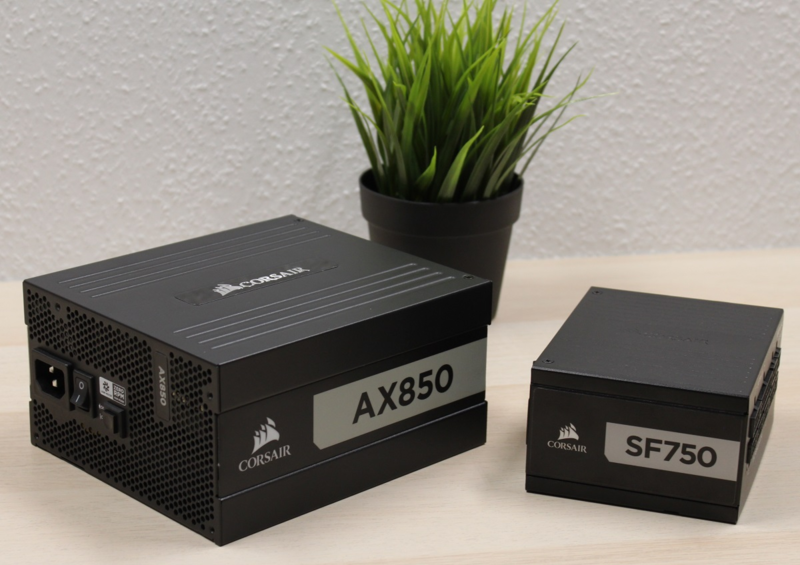 SF750 from Corsair is a real miniature powerhouse that can efficiently run the most demanding ITX systems without even breaking a sweat. We reward such a performance with a fantastic 9/10 score and our Great Product Award. 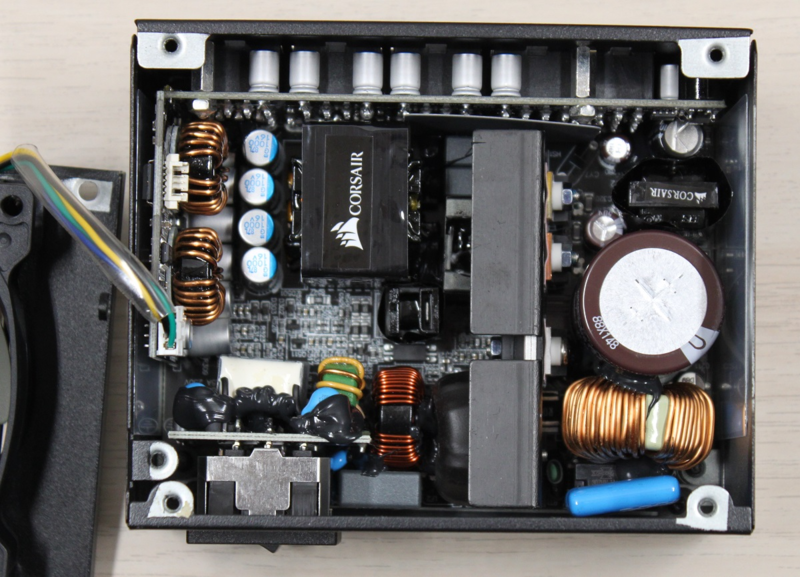 Because this PSU is great/awesome/fantabulous, you name it.